Type: TV Serie - Episodes? 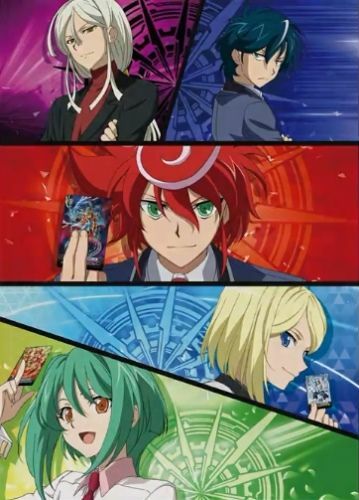 * Based on Bushiroad's Collectible Card Game by the same name. 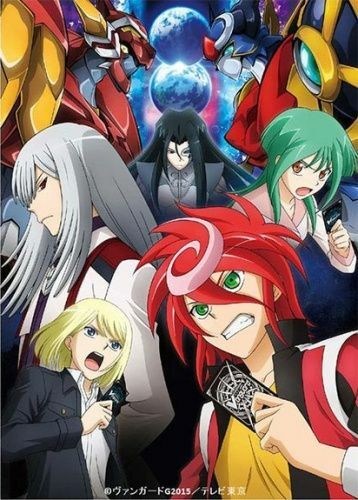 In the midst of his calm everyday life, Aichi is entrusted with the wishes and prayers to save the Planet Cray from the brink of destruction, through a mysterious dream. 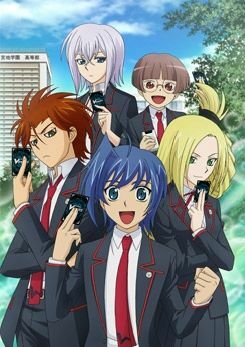 In that dream, Tatsunagi Takuto announces an invite-only tournament, and invites both Aichi and Kai to take part in Messiah Scramble. The first prize is the card named Messiah, the name of a saviour that was heard in a dream. 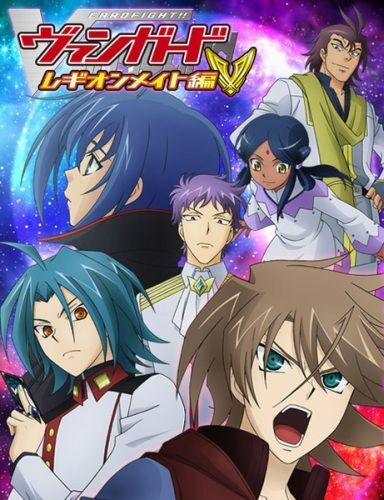 And so, the curtain rises on the harshest battle ever for the team of Aichi and Kai as they have to confront Ibuki Kouji. Note: Set at Card Capital Shop No. 2 three years after Legion Mate. The Federation of International Vanguard Associations (FIVA) issues a new Generation Quest, or G Quest. Fighters who complete this G Quest will stand a chance to become a Clan Leader, which is the new aim of Shindou Chrono and his team TRY3. 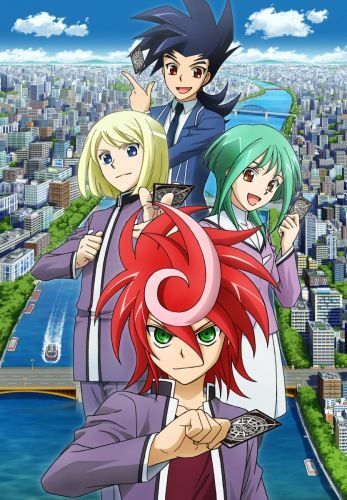 Plot Summary: Team TRY3 members Chrono Shindō, Shion Kiba and Tokoha Anjō move forward to their respective high schools. Each member forms their own team in a bid to decide their own future. The three protagonists are set to clash as rivals in the upcoming large-scale tournament titled U20 Championship. 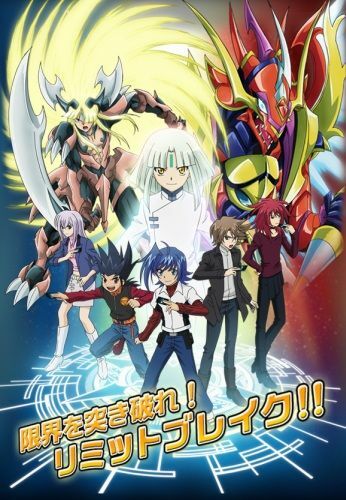 The main protagonist Aichi Sendou, is a timid and mundane third-year middle school boy. 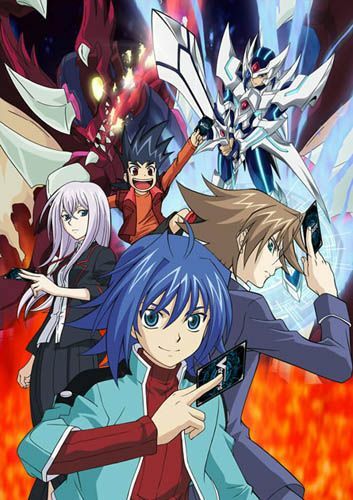 The thing that supported Aichi's heart, was the "Blaster Blade" card that he received as a child. 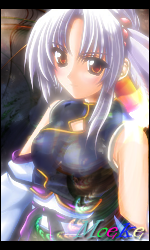 It's an important rare card from "Vanguard", a card game with the imaginary world of "Planet Cray" as its stage. 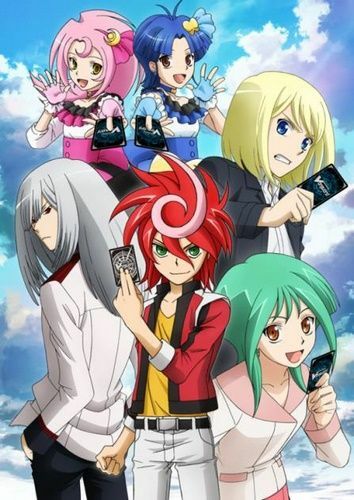 From the day he reunited with the person who gave him that card "Toshiki Kai", Aichi's everyday life began to change.